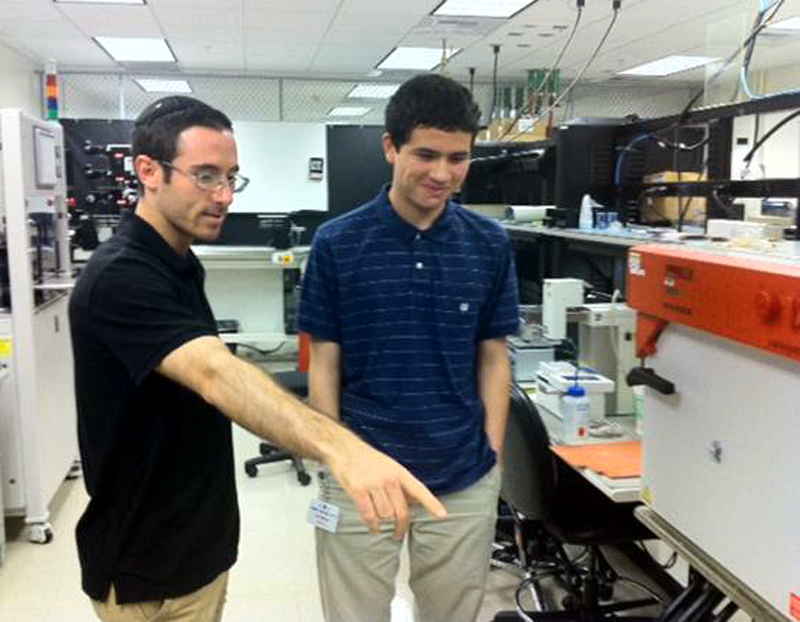 Harrison Diniega of West Ranch (right) did an engineering internship at Boston Scientific. The Hart School District Regional Occupational Program debuted the new Career Internship class to interested juniors and seniors throughout the district this summer. Twenty local businesses opened their doors and offered students the opportunity to learn about a variety of industries while providing hands-on training during their internship experience. Companies that participated in the business partner program include; Aerospace Dynamics International, American Family Funding, AMS Fulfillment, Advanced Bionics, Boston Scientific, Bowling & Associates, Bright Star Physical Therapy, Circle of Hope, Hart District Transportation, High Pressure Technologies, Hot Spot SCV, H2W, G & M Auto Repair, Int’l Tax Network, La Quinta Hotel, Michael Hoefflin Foundation, Magazine of Santa Clarira, Specialty Motors, TPC – Oaks Grille, UVDI, 20/20 Optometric Eye care. 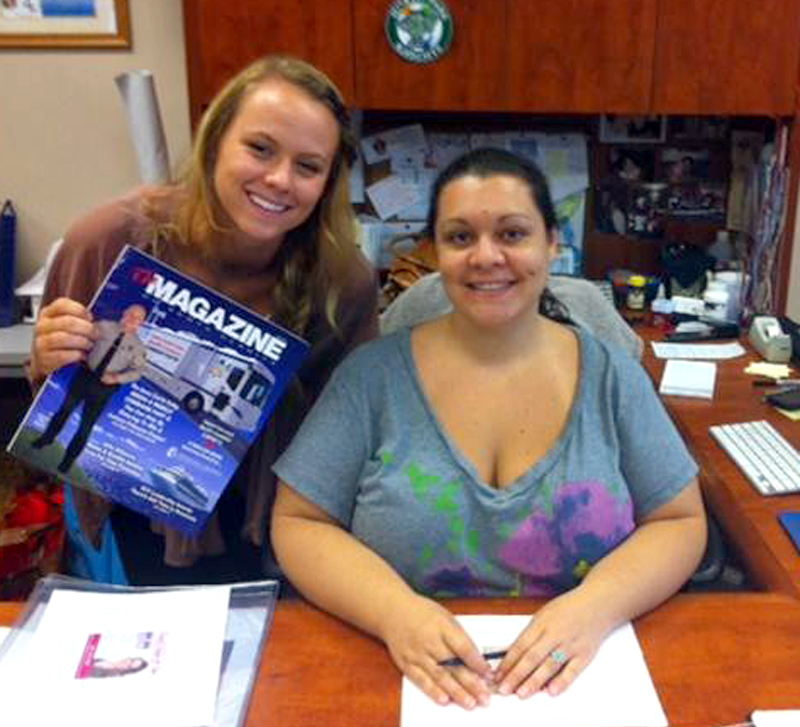 Kelly Indermill of Hart (left) interned in journalism at the Magazine of Santa Clarita. Venkat Katakam, a senior at Valencia High School, spent his internship at UVDI. “I’ve had a great experience at my internship at UVDI. The company has given me hands on training by allowing me to create brochures and flyers of their products. My expectation was to just get a feeling of business-related material, but I learned a lot about sales and marketing. It was a valuable experience and I am thankful for everything UVDI and this class has done for me,” Venkat said. Venkat worked closely with Kathi Million, director of sales and marketing. “Having Venkat intern with UVDI this summer has been a great experience for all. He was very instrumental in assisting us with various marketing materials. I believe he learned quite a bit about UVC Technology and working in a corporate environment. It has been a pleasure to assist in molding our next generation,” Million said. 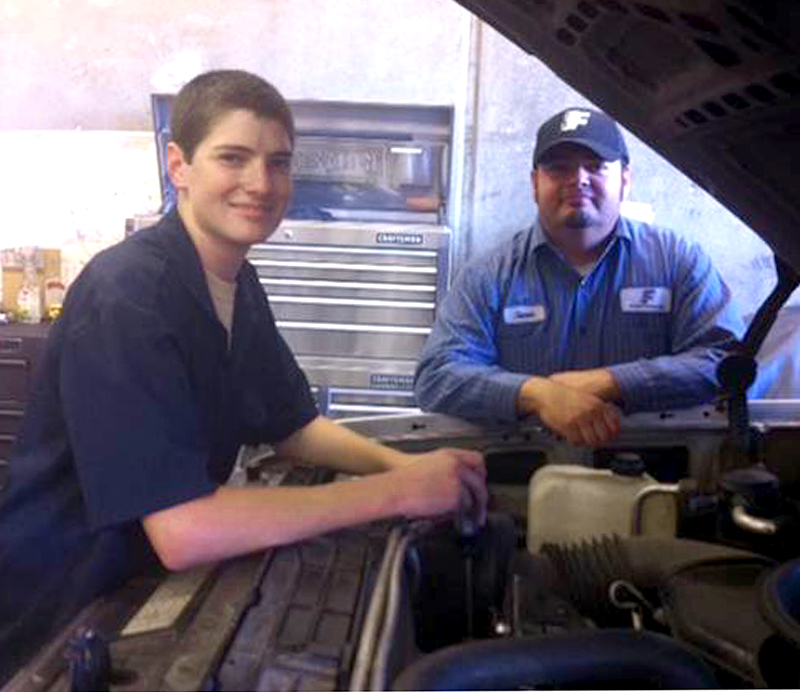 Griffin Hartz of West Ranch (left) honed his automotive technology skills with Hart District Transportation. Daniel Otto, executive chef at The Oaks Grill at Tournament Players Club (TPC) Valencia, worked with Chase Ponce, West Ranch High School senior, to sharpen his culinary skills during his internship. “Chase works hard and gives it his all, his dedication and passion will get him far in this business, it has been a pleasure having him on our team,” Chef Otto said. “I want to become an executive chef and I will continue to work hard and take the necessary steps to make this happen,” Ponce said. Involved businesses have the opportunity to work with students seeking information on career choices. High school students are the future workers in this community and business leaders can open the door to potential future employees and to help provide and mentor these students toward the skills required to be successful in the 21st century. For more information about enrolling in this class or to become a business partner for the fall semester contact Pam Malowe at the district office. 661-259-0033 x232.